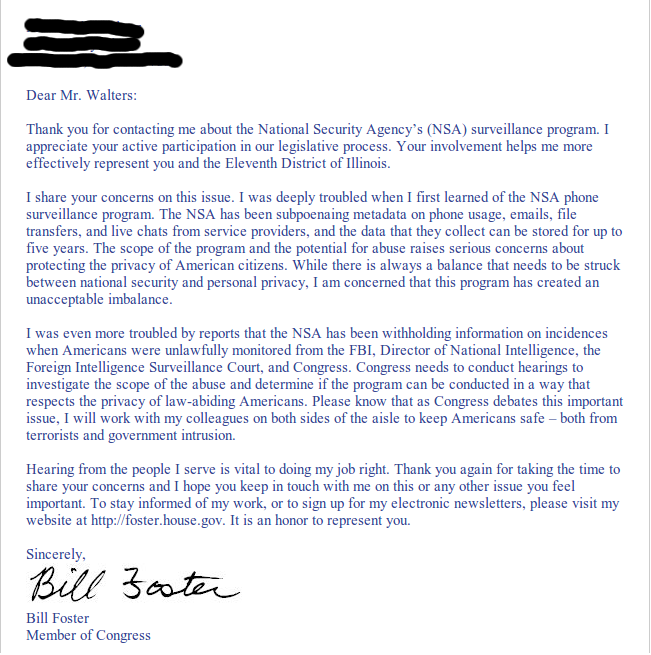 So I sent a letter to my congressman July 25, 2013 after viewing that he voted “nay” on House Vote 412 on Limiting N.S.A. Data collection. I essentially told him I was appalled that he voted down the bill and that as my representative in congress I demand his logic in doing so (within reason). I then went on to say as a United States citizen who has a vested interest in both the success of the country and should take pride in his actions, how can he support an group which has both intentionally lied to both yourself and the other citizens of the United States. Notice the language used, “I share your concerns on this issue.” I understand that he took a middle road by taking time to deliberate and form a possible better solution, but even if that can be determined it entirely over looks the most important point. The N.S.A. lied, under oath, to Congress and the Senate, where the hell are the criminal charges </endrant> and why is my Congressman entirely ignoring that fact. If I came by and peeked in his window he’d probably be rather (a) disturbed and (b) call the police, I can not call the police nor can I call the Congressman who pays the police. All I can do is reach out to my fellow Citizens and hope that they, who pay the Congressmen, to do what is right and defend yourselves (as well as me) from tyranny. I’m always curious why congressman support stuff like this so nonchalantly. It seems like such a common sense issue, yet so many representatives with relatively little to gain go along with stuff like this. I’m glad you took the time to write, and he took the time to respond, but clearly he’s avoiding any real discussion on the matter. 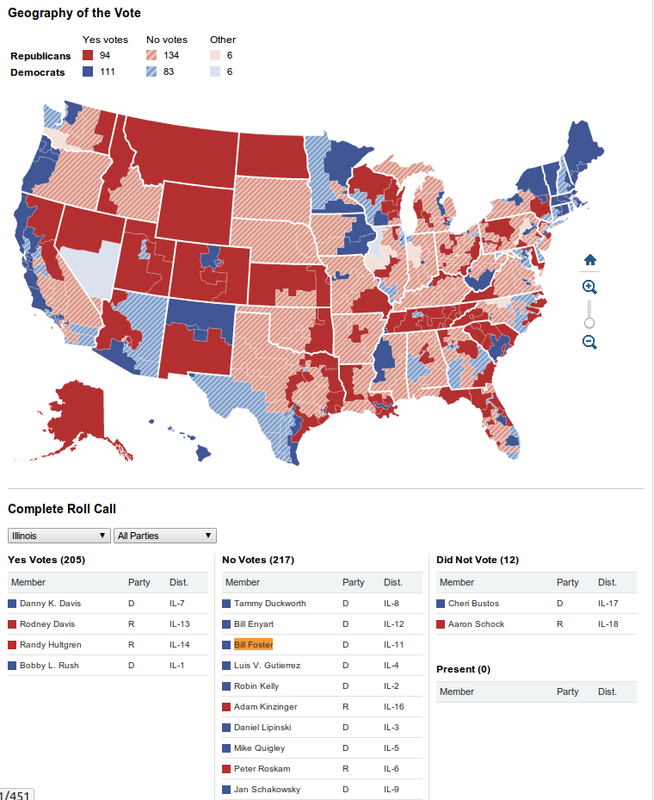 You probably sent this to your congressperson via demandprogress or another mass-email solution, right? If not then you still probably sent it electronically. The chances are the congressperson never saw your letter and never wrote this response. My experience having met congresspeople in person is that they’re entirely unqualified for the position but make up for it by working with awesome staff. This response where they say they want to find an even better solution is a typical misdirection. They probably received more letters about the NSA than any other issue this year but since we, as citizens, are not the primary financial backers of their campaigns it is not in their best interest to represent us. The democratic process of election via paper or in person ballot is entirely broken. We need online voting for our government officials and we need to remove the ability for government official to get campaign funding > a certain amount from any private citizen or company.